I had the opportunity to do a work in immunology, in my bachelor’s thesis project, which is a very interesting and motivational field. Nevertheless, I knew in more detail about computational approaches for the biochemistry problems. It was a turning point because the chemistry and biochemistry computational study allows me gather my interests about biochemistry mechanisms and computer science. I have already had a very interest about informatics and programming, mainly as a hobby. We want address same enzyme catalysis aspects through molecular dynamics computational simulations. We look mainly for conformations changes and the way those changes influence the active site where the catalysis reactions takes place. We use parameters, obtained by DFT methodologies, and from AMBER force field in order to perform our simulations. 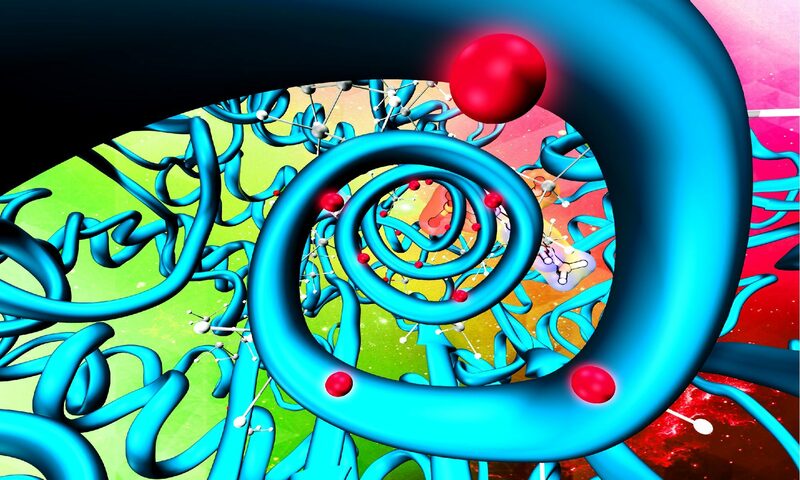 We want unraveling the catalytic mechanism of enzymes using computational approaches using mainly QM/MM (Quantum Mechanics / Molecular Mechanics) methodologies. We test a several number of logical hypothesis, obtained by experimental structures or by function similarity, in order to achieve a enzymatic mechanism. Now I am developing some TCL scripts that aim a better way for handling calculation output files. My scripts have an open-source license and you could access them here.